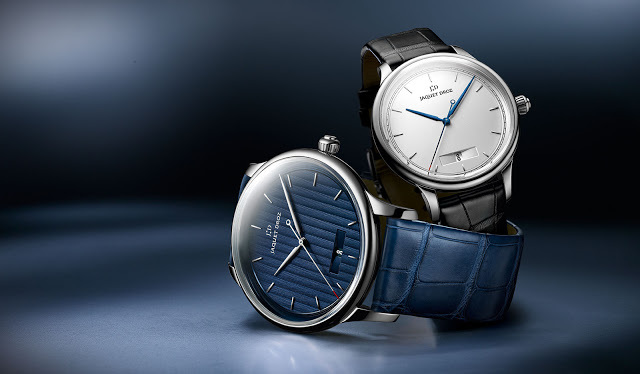 Clean and functional in appearance, the Jaquet Droz Grande Heure Minute Quantieme has only three hands and the date, with the only concession to decoration being the accentuated date window. Wide bevels on each side of the date display given the impression of peering through a keyhole. 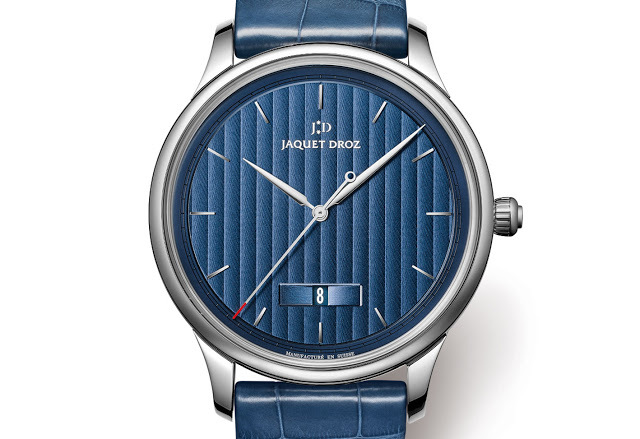 Two dial variants are available, a silver opaline or deep blue with vertical Geneva stripes, with date discs matching the colour of the dial. Both have lance-shaped hands, baton markers and a railway minute track. There nothing extra on the dial, save for the brand’s logo at 12 o’clock. 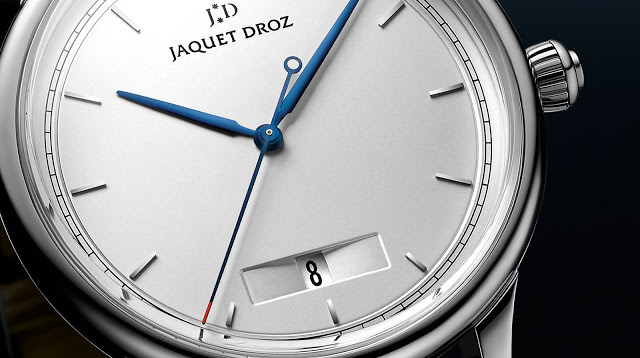 A discreet dash of colour is seen on the seconds hand, which is tipped in red, and also on the last day of most months, with the “31” on the date disc in red as well. Available only in steel with a case diameter of either 39mm or 43mm, the Heure Minute Quantième is equipped with the JD 1150P, a self-winding movement with a silicon hairspring. Now a favourite material for escapement parts, silicon (or specifically, silicon with an oxide outer later) is non-magnetic and immune to temperature changes. 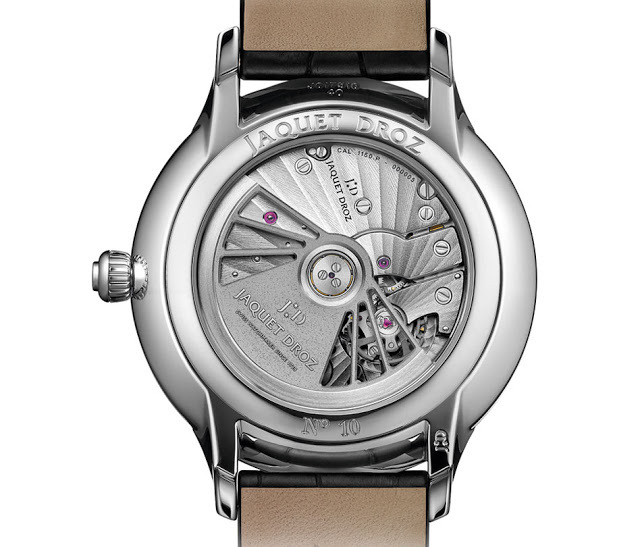 Visible through the display back, the movement has an open-worked rotor and bridges decorated with a radial striping. The power reserve is a convenient 68 hours, almost three days. 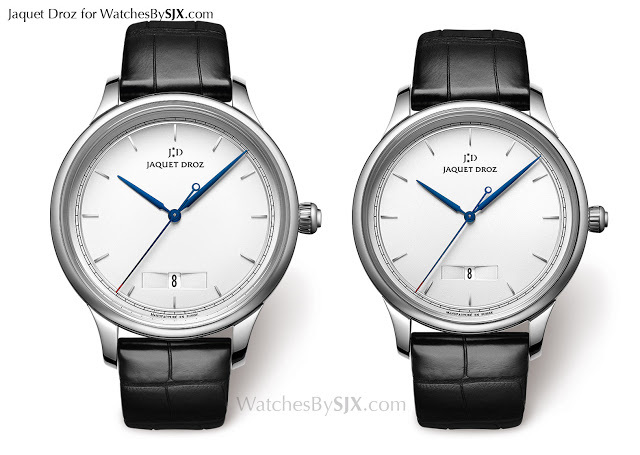 The Heure Minute Quantième is one of the thinnest watches Jaquet Droz offers, with the smaller 39mm model measuring 11.09mm high, while the larger 43mm version is 10.85mm high. Both versions in either colour are priced at S$15,000, including 7% tax. That’s equivalent to about US$10,600.